A real estate agent in New York can make upward of $55,000 per year or more. Does this earning potential appeal to you? Not only can you bring in a great income with a career in real estate, but you’ll also have a front-row seat to some of the biggest moments in your clients’ lives. It’s for these reasons that this job often ranks among the most fulfilling jobs in the country, with 75% of agents saying they’re fulfilled in their role. If you live in the Empire State, you may be wondering how you can get into this field. Whether you’re a recent graduate just entering the job field or someone who’s climbed the ladder for years in a different industry, real estate is a niche that anyone with the right know-how can succeed in. Today, we’re breaking down the basics of how to get your New York state real estate license. The best part? You can do it in five easy steps, starting today. Ready to learn more? Let’s get into it! Wondering how to become a real estate agent in NY? Before we delve into the step-by-step process, let’s cover a few basics first. To begin, you’ll need to be 18 years of age to pursue this position. Though it’s becoming more and more popular for high-school students to take college-level courses, you’ll have to wait until you meet this age requirement before pursuing the next steps. In addition, you should have a high school diploma or a GED certificate equivalent. You should also be a citizen of the United States or a lawfully admitted alien. Every prospective real estate agent must complete a state-approved, 75-hour pre-licensing course to begin down this career path. This coursework is required to prepare you for the education and training that is to come, including the final real estate licensing exam. This is also an ideal way to determine if becoming a real estate agent in NY is the route for you. Does the material excite you or are you bored to tears? Do you look forward to learning more every day or do you dread the homework, studying and tests? You might find that while the idea of working in real estate appealed to you, the hands-on application of it is less thrilling. Or, you may soar in this space. You may excel in the discussions, answer questions with ease and soak up the new knowledge like a sponge. You won’t know until you’re in the learning environment. You can choose from myriad of educational providers when it comes to completing these 75 hours. You’ll just need to make sure the course you select is approved by the New York Department of State (NYDOS). If you work full-time, you may opt for a program that offers online courses so you can complete the requirements at your own pace. Or, in-person lectures may work best for your schedule. There may also be providers that offer a hybrid of both, so do your research. Let’s review how each will function. An in-person pre-licensing course will take place at a local New York real estate school. In most cases, it will consist of around 20 classroom sessions. Expect to spend around four hours in each class. If you’re pressed for time or want to get through this part of the process quicker, you may be able to complete this step in 10 days by taking two classes per day. Yet, keep in mind this can cut into your schedule and also puts you on the road more than you may prefer. If you go this route, you can interact in-person with your instructors and peers. While this is a perk, it doesn’t come without its costs, as these courses are normally more expensive and take longer to complete. In fact, while you may be able to zoom through it in 10 consecutive days as discussed above, this setup is often only granted on a basis of special permission. Most students take eight weeks to complete these 75 hours of in-person training, as they’re limited to the days and times that the program provides. The cost alone can range from around $325 to more than $450, which doesn’t include the price of the required textbook, which can run around $40 to $50. As an alternative, you may choose to take your pre-licensing course online. While flexibility is an obvious advantage, there are other reasons why many students prefer this option. While your program will need to be approved by the NYDOS, you’ll have more to choose from as you aren’t limited to a physical location near you. In most cases, you’ll complete lesson modules as you go along, with a quiz at the end of each module to assess your comprehension. In addition to working around your schedule, online courses are normally cheaper than their in-person counterparts, saving you both time and money. For the New York real estate pre-licensing course, expect to spend around $300 for the course with a school like AceableAgent. Once you complete your course, you’ll take a final training exam. Most providers set this up as 75 questions to mimic the upcoming state exam. If you completed the coursework at a local real estate school, you’ll take the exam there. If you did it online, your provider will direct you to take the test in-person at a proctoring center near you. After you pass the exam, you’ll receive a certificate of completion. This is required before you can move forward with the official New York state exam. Once you’ve finished the 75 hours of coursework and taken that exam, you may be ready for a break! You’re almost there, but you still have one more test to take. Next, you’ll gear up for the official Real Estate Salesperson Exam administered through the NYDOS, Division of Licensing Services. The NYDOS requires that you sign up for the exam via its online registration portal, eAccessNY. This is the state’s official occupational licensing management system, so it’s helpful to learn your way around the site. Setting up your free account takes minutes, so do this first. Then, schedule a time and site to take your exam. It costs $15 per attempt, and there is no limit to how many times you can take it. Try to schedule your exam at least two weeks out if you’re looking to take it in New York City. For other locations within the state, one week’s notice should be sufficient. This exam consists of a written, multiple-choice test, based on the curriculum you completed in the 75 hours of training. You must achieve a passing grade of 70% or higher to move forward in this step, and you must complete the entire exam in 90 minutes or less. To up your chances of earning a passing grade, be sure to review all of the key terms you learned in your training. While it’s not required that you memorize this list, it’s wise to be able to match the term to its definition. Congratulations! You completed the training and passed the state exam. Now, you’re ready to start selling or renting real estate in New York. Your next step is to find a licensed broker that will sponsor you to do so. In general, there are four kinds of brokers that you can partner with. Let’s take a look at each. Especially if you’re just starting out as an agent, it’s often easiest to work in real estate rentals. These are less complicated than home sales and can be completed quicker, with less paperwork and jargon to boot. This is an ideal way to start earning a commission as soon as possible. If you’re comfortable diving right into residential sales, this type of real estate often generates higher commissions, though the work is lengthier and more involved. Not sure which to pick? It’s common to find brokers who do both rentals and sales if you’d like to vary your portfolio. If a piece of residential real estate spans more than four units, it’s considered a commercial sale. These can include apartment buildings or related multi-family properties. While these sales are more complex than those for single-family properties, the commission payout can exceed $100,000 per deal, making it worth the extra effort. That said, it’s best to save this type of broker until you have at least a few years of residential real estate experience under your belt. You may also work with a broker that leases office or retail space. These are akin to commercial sales, featuring higher payouts but requiring more time in the field. One factor that may influence which broker you choose is how the office splits commissions. New York state has a standard sales commission of 6%. In most cases, this is split in half between the buyer’s broker (3%) and the seller’s broker (3%). As the agent, you’ll split the remaining commission with your sponsoring broker (1.5%). If a sponsoring broker is trying to convince you to work with them, they may offer a more lucrative 70/30 split rather than the going 50/50 arrangement. Or, you may find brokers that offer 100% commission but require that you pay monthly fees in exchange. Find one that fits your expectations and will offer you a valuable working relationship, with plenty of opportunities for mentoring along the way. 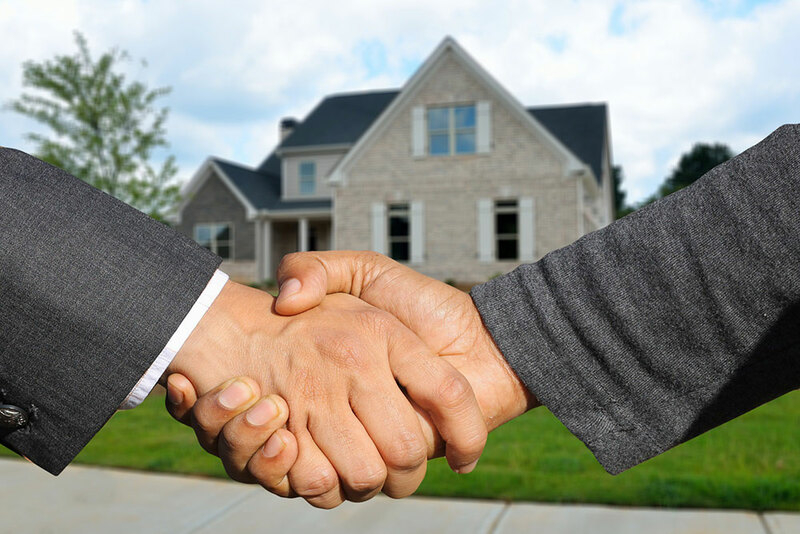 Once you find a sponsoring broker that meets your needs, you’re ready to finalize your NY real estate salesperson application. From there, your sponsoring broker will log into their own eAccessNY account to confirm and authorize your application. Once these steps are finished, the NYDOS will receive and review your online application. If you’re approved, you’ll receive your real estate license at your business address. You’ve read the statistics and you’ve watched the news. You know that New York is a bustling state full of real estate potential, and you’re ready to tap into that opportunity. Yet, taking a look at the steps required to obtain your New York state real estate license can be more than daunting, even for the most career-minded. Chances are, you have a job, schoolwork or other commitments that are tugging at your time. You want to succeed with a career in real estate and you’re ready to get started. That’s where AceableAgent comes in! We have partnered with AceableAgent offer flexible online courses that work around your schedule. Get ready to watch your career take off, one closed deal at a time. Launch Your Career with AceableAgent Today!